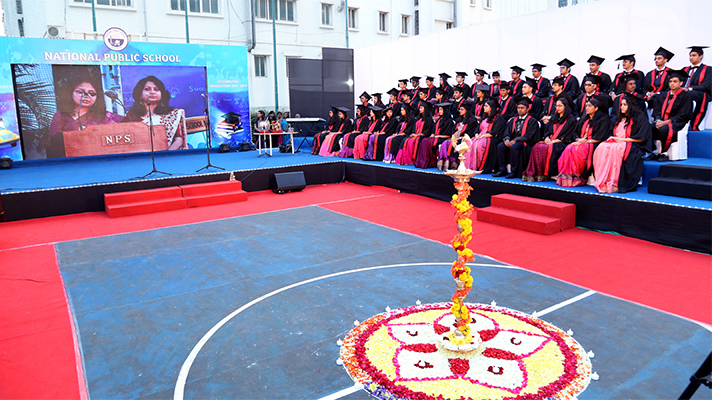 Graduation is an important milestone in the journey of education. 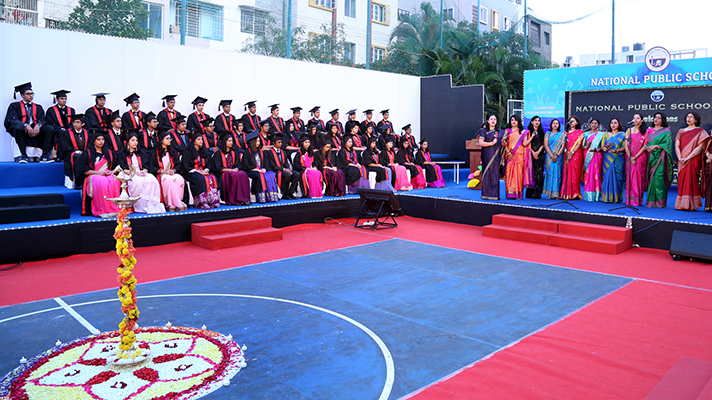 NPS HSR honoured its batch of 2018-19 for this milestone with a solemn and grand graduation ceremony on 1 February 2019. Dr. Sudarshan Ballal, Chairman , Manipal Hospitals, was the guest of honour. In his address to the students, he urged them to be morally upright and socially responsible citizens. 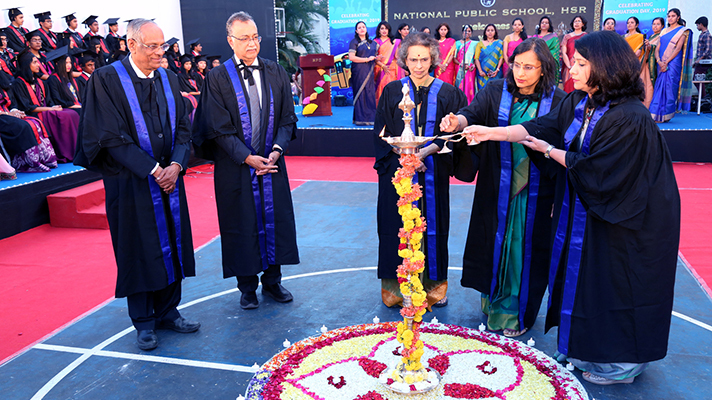 Dr Bindu Hari, Director, NPS Group of Institutions, in her convocation address called upon the students to make their choices wisely, adding that it is their choices that will determine who they are. As the Principal, Ms Shefali, walked the students and the parents down the memory lane, they felt their eyes turn moist with tears of pride and joy. 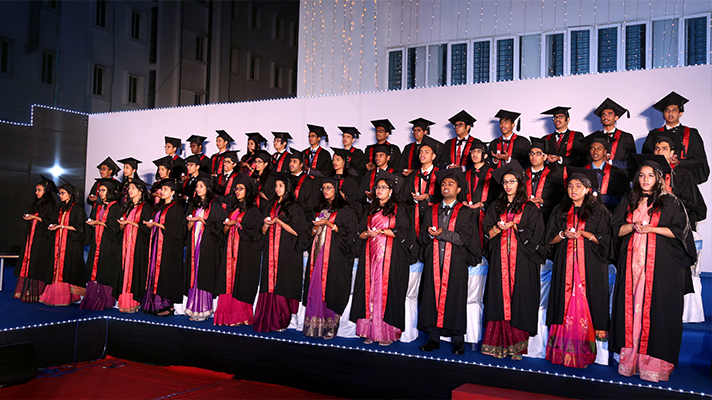 The ceremony witnessed the graduating students bid adieu to their alma mater, but not before they took a solemn oath to do their school proud and be of service to the society.